But in today’s world, kindness comes at a price. Many of us expect kindness to be a boomerang that will return to us someday. But expecting something in return kills the original idea of helping someone in need. There were plenty of things on my list that I need to change in this world, but first, I need to start from myself. Being an unconventional medical professional (doctor of pharmacy), I had minimum exposure to the positive attributes for blood donation. In fact, for me, blood donation only had its cons. And the reasons continued for not donating blood. However, once I started to seriously consider why I was afraid of donating blood, I realised that my fear was irrational. I realised that by not donating blood, I was keeping myself from performing one of the greatest acts of kindness that I could ever do. So I did my homework, read several medical blogs that gave me some details on how the blood donation process works, decided on a date and went to the hospital to donate blood. But all of this wasn’t enough to suppress my raging anxiety. As I arrived at the hospital, fear kicked in and I felt trapped. I just wanted to get out. I thought of leaving and coming back another day. But then I realised: If I left right now, I would always feel a strong sense of guilt hovering over me, and I couldn’t live with that. So I gulped my fear down and decided to go ahead with it. After the screening, I was walked to a general ward where empty beds were lined up. The process was straightforward; it began with a cuff being placed around the arm to help make veins appear clearer to access. A needle was inserted into a particular vein. During most blood donations, less than one pint of blood is taken. This amount is only around 10% of an adult’s blood supply and your body is able to replace it very quickly. However, just as soon as I felt the needle, a strong feeling of nausea took over, making me uncomfortable and nervous – feeding my fears even further. I instantly asked the nurse to call a doctor. I was trembling with fear, which eventually led to me breaking down into tears. I wondered what my parents would say, in case I fell sick after the process – which made me cry even further. An elderly nurse, noticed my apparent hysterics and came and sat by my bed. She asked me why I was going ahead with something like this, considering how scared I was. Her question caught me off guard and I was slightly offended; I told her it’s none of her business and she had no idea how I felt. She smirked and told me that due to confidentiality laws, most blood donors never get to know which patient receives their blood as their identities are never revealed. But if only we could meet or see one of them, we would be embarrassed of even shed a single tear while donating blood for them. I was spell bound. Her words pierced through me. Suddenly, I felt shallow and selfish. For unlike the recipient of my blood, in less than five hours, I will be leaving this hospital and continue living my own life. I would go shop and have a fancy lunch with friends or maybe just go home and hug my husband. My life was grand compared to the patients and all of a sudden, I felt good, looking at the plastic bag filling up with my blood. I walked out an improved version of myself that day and thanked God for making me do this. I am sharing this experience with you all because I urge you to make the time and donate blood. It will cost you nothing, yet it adds up to more than all the riches in this world. It’s that special gift of life that you can give to someone any day. June 14th of every year is dedicated to safe blood transfusions and thanking voluntary blood donors by celebrating World Blood Donation Day all over the world. 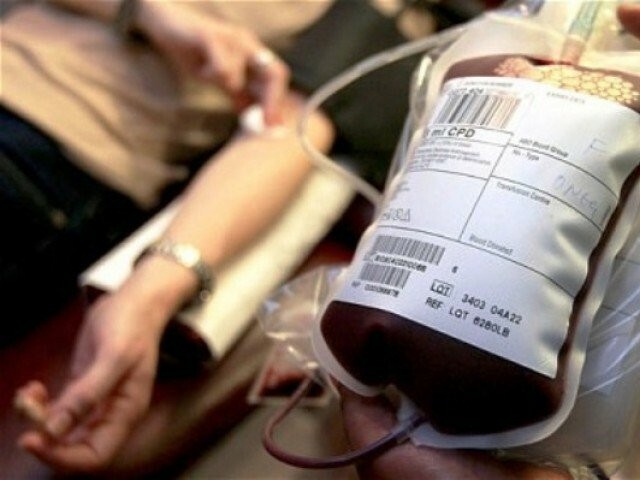 Pakistan is suffering from an annual shortage of 1,400,000 units of blood (approximately) against a demand of around 3,200,000 units to save the lives of thousands of people. Myths associated with blood donations such as becoming overweight or weak, or patients not being able to donate blood are not true. It’s actually quite beneficial to donate blood. Preserving cardiovascular health, reducing the risk of cancer, burning excess calories and more importantly receiving a free blood analysis are some of the major benefits. The easiest way to donate blood is go to www.pakdonor.com or www.blood.pk and roll up your sleeve to save lives. Because that is the right thing to do!